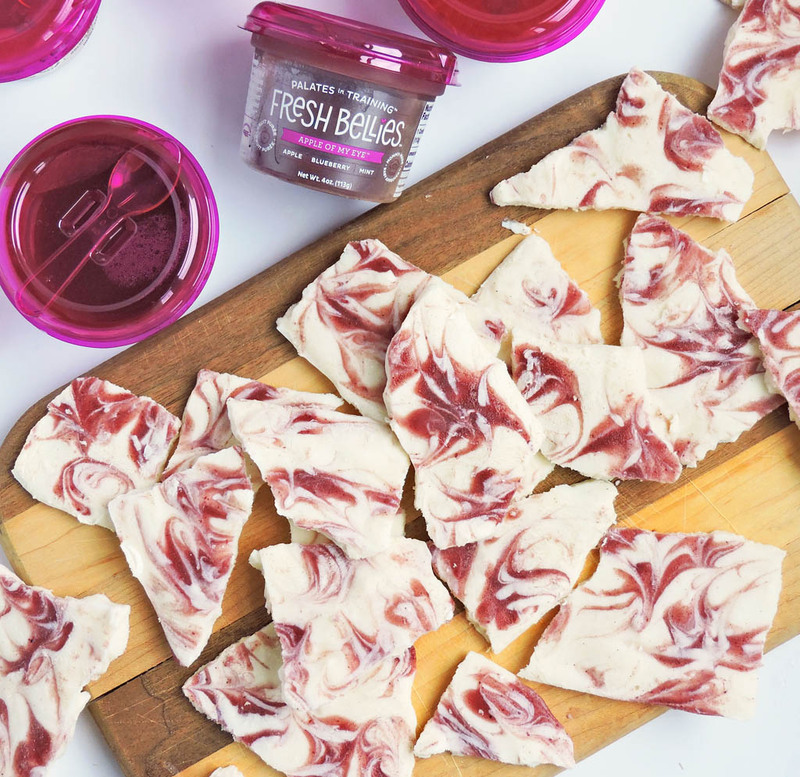 Fruit Swirled Frozen Greek Yogurt Bark has been sponsored by Fresh Bellies. As always, all opinions are truly my own. 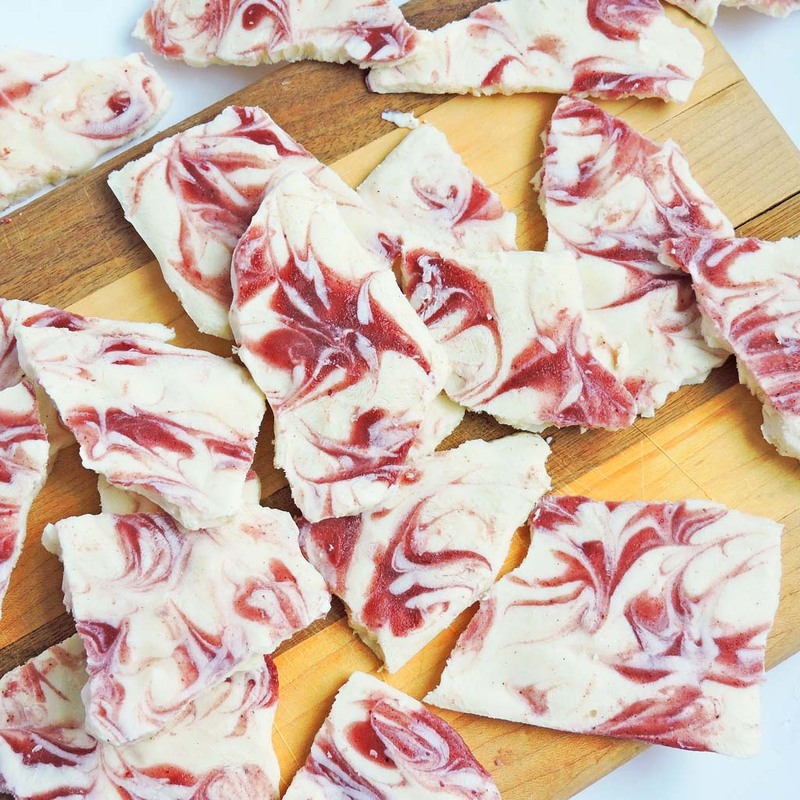 Fruit Swirled Frozen Greek Yogurt Bark is the perfect summer treat for the kids! It’s made with wholesome ingredients, including Fresh Bellies Apple of My Eye! I have a serious sweet tooth and unfortunately my kids inherited this trait! Lol! 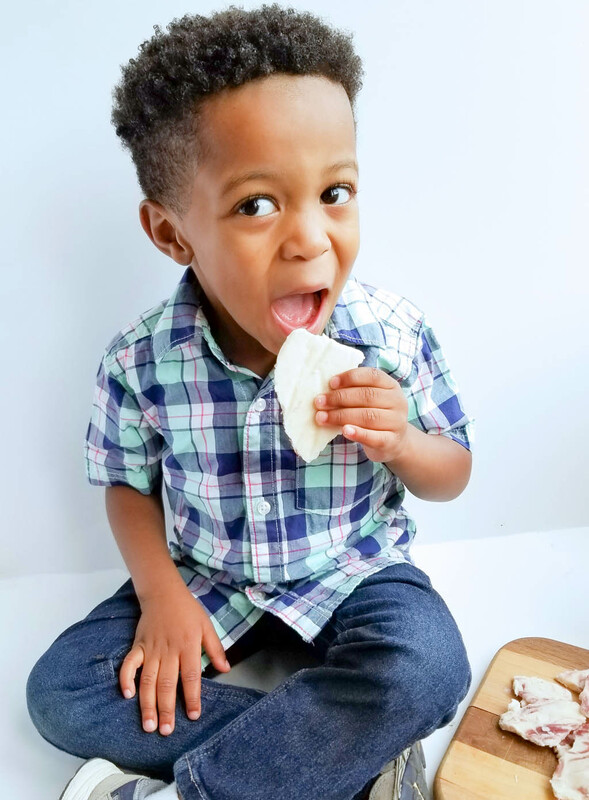 They will devour anything sweet…cookies, cake, ice cream, candy, everything! 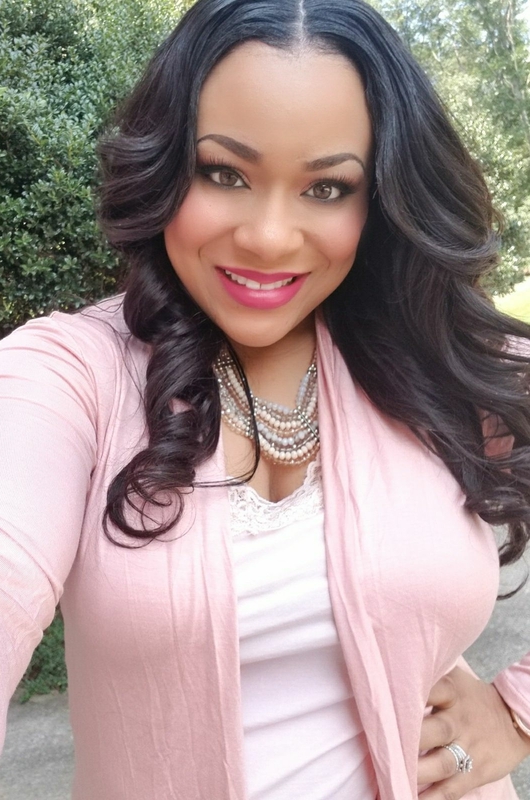 Being a Registered Dietitian Nutritionist, choosing nutritious snacks and treats for my kids is very important to me! I will allow them to have a cookie or a piece of candy in moderation, but the bulk of their snacks are fresh fruit and veggies! Fresh Bellies is my new best friend because they have a delicious assortment of veggie and fruit purees! 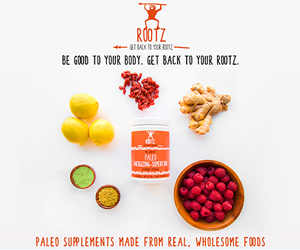 Their products contain no added sweeteners or preservatives! 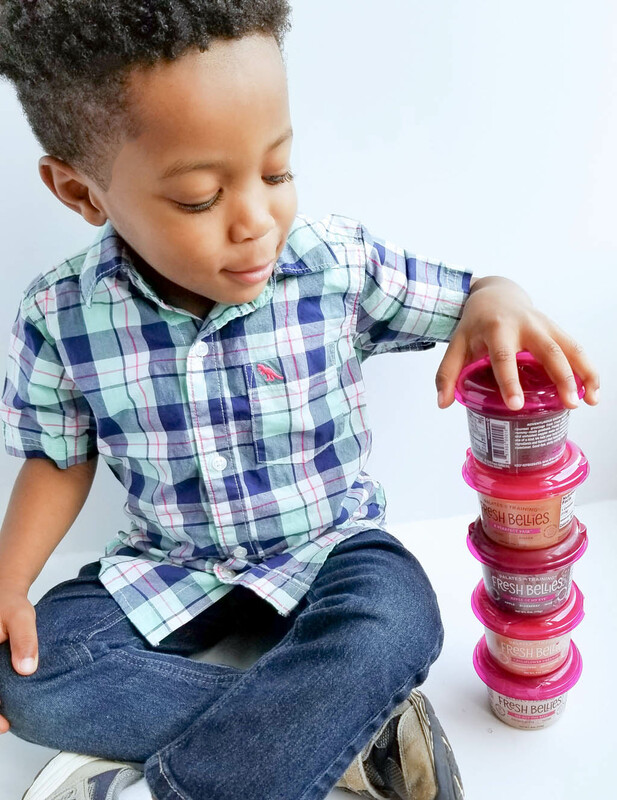 When my kids want a snack, I don’t hesitate to give them a container of Fresh Bellies! They absolutely love the flavors, especially the Apple of My Eye! They love the combination of the apple, blueberry and mint! Fresh Bellies can be eaten alone or can be used in a variety of recipes! Since my kids are fans of dessert, I decided to incorporate the Apple of My Eye into a frozen treat…Fruit Swirled Frozen Greek Yogurt Bark! This recipe was a breeze to make! All you need are 2 ingredients: Vanilla Greek yogurt and Fresh Bellies-Apple of My Eye! I started by spreading the Greek yogurt on a baking sheet lined with parchment paper. Next I added a few tablespoons of Apple of My Eye onto the yogurt. I took a skewer and swirled the fruit to make a pretty pattern! I placed it in the freezer until frozen, and broke it into pieces before serving! Easy, right?! 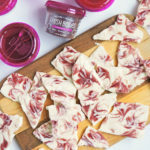 My kids really enjoyed this Fruit Swirled Frozen Greek Yogurt Bark! They didn’t even realize they were eating something that was much healthier for them! I think it’s safe to say that this is our new favorite summer treat! 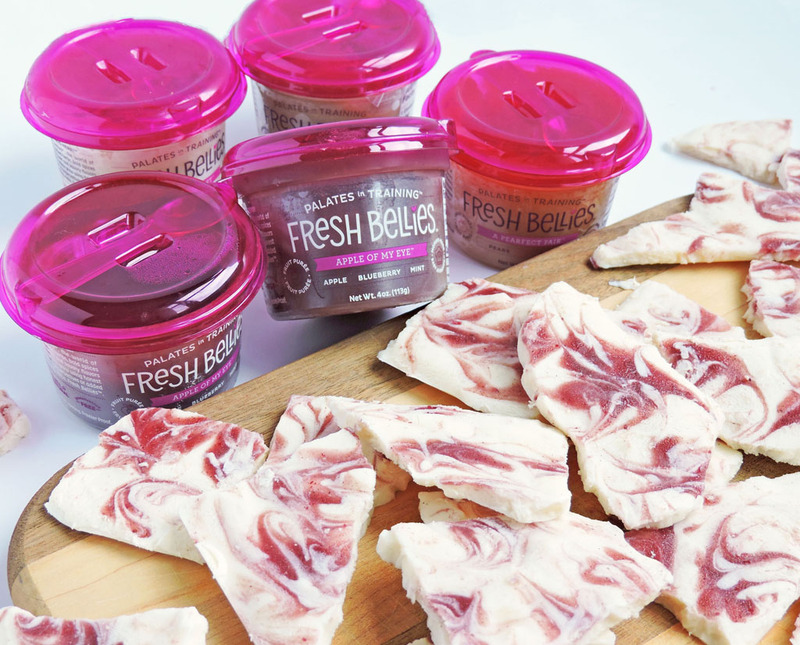 Be sure to check out Fresh Bellies for more information on their delicious products! 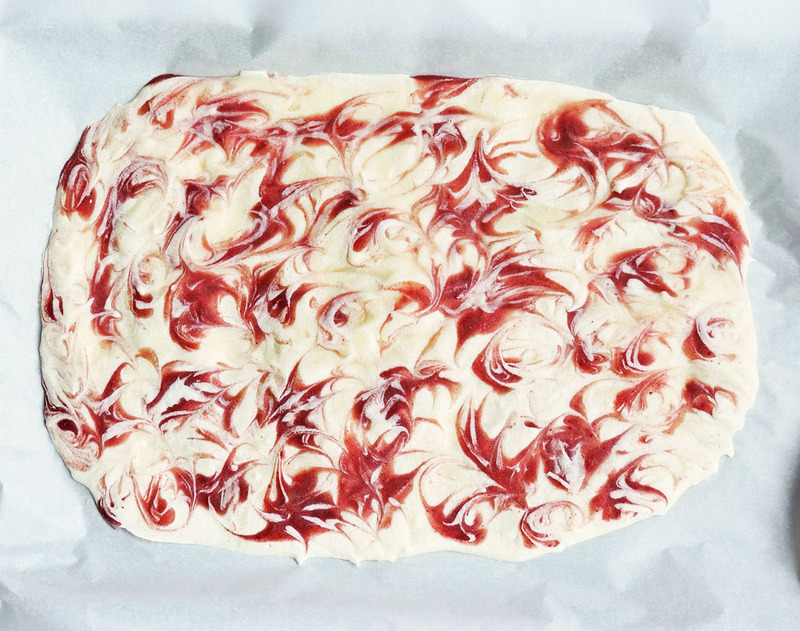 Spread vanilla Greek yogurt onto baking sheet to make a smooth and even layer. Drizzle Fresh Bellies-Apple of My Eye onto yogurt layer. Take a wooden skewer to make swirl patterns. Carefully place in freezer until frozen. When completely frozen, break into pieces and serve. Store in freezer. Bark will melt very quickly at room temperature.